Xi Horizons Consulting is a global leader in providing operations and quality excellence solutions to various industries across multiple geographies. Established in 2010, Xi Horizons has developed and implemented major cost reduction programs in more than 50 countries worldwide and achieved significant productivity improvement, scrap reduction and cycle time reduction. Xi Horizons works with organizations to identify needs and to develop short-term as well as long-term strategy to address those needs in order to meet market demand and achieve competitive advantages. Process-driven approaches to problem solving are always grounded in the latest research-based methods. Xi Horizons takes a highly collaborative approach that nicely combines both in-class training and immediate application of the tools learned in the workplace. This approach not only engages teams but significantly minimizes the time-to-solution for problems, as well as maximizes the sustainability of the desired results. 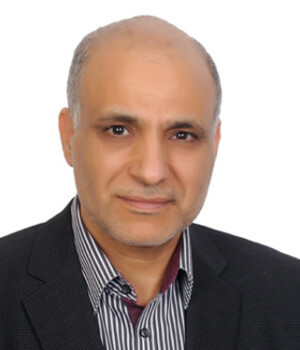 Dr. Hakeem Hammad is an internationally recognized thought leader and expert in developing and implementing operational excellence programs with undisputed break-through improvement results. Dr. Hammad knows what it takes to create a world-class enterprise in today’s competitive economy. He gained this knowledge through more than 20 years of industry experience and as president and CEO of Xi Horizons Consulting, an internationally recognized consulting firm for its capability to deliver sustainable business results as well as develop high performing teams. Dr. Hammad has trained/coached teams worldwide to design and implement world-class production systems, six sigma programs, high performance labs, as well as visual management factory. During the course of his career, Dr. Hammad served as the global business excellence director at Boston Scientific, the business process improvement senior manager at Dell Computers, as well as the Lean champion for Dell worldwide.